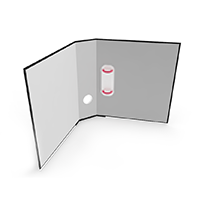 Create order by ordering lever arch files or ring binders with bespoke printing, with or without a back pocket, with or without an integrated sleeve for business cards, in thicknesses between 22 and 55mm. Ideal for keeping your documents in order. Lever arch files and ring binders can be much more than just a practical way to organise documents. Enhanced with bespoke printing in your corporate colours, they also represent and communicate your firm, products or different departments – either in-house or externally to your customers. We offer you both lever arch files and ring binders: printed in full colour with your logo, a picture and/or texts in line with your corporate design. Naturally always with a finger hole to aid you in removing them from the shelf and accessing their contents faster. You can choose from four different spine widths: 25mm, 35mm, 50mm and 55mm. 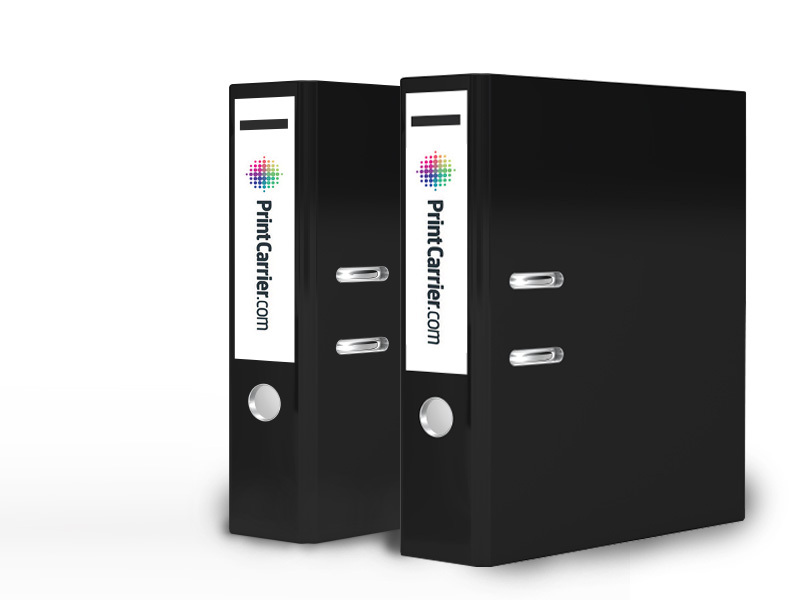 Whichever is most appropriate for the document quantities and paper thicknesses you will be storing in them. 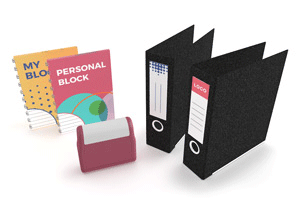 Whether you order 50 or 2500 lever arch files or ring binders, they are always in A4 format and we only take 9-12 working days to produce and deliver them. 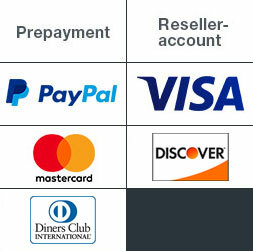 Shipping is naturally free, as we always factor it into the cost of production. Besides order, satisfaction is also a must. 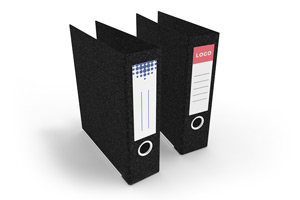 At least for us and our customers, regardless of whether we print lever arch files, ring binders or other products. If we should ever be out of order in this respect, we will give a full refund to first-time customers and delight existing clients with a generous solution. Count on it!